The Democratic Republic of Congo will aim to lift the African Nations Championship (CHAN) trophy for a second time when they play Mali in the final in Rwanda on Sunday. It will be an intriguing climax to the three-week long tournament organised by the Confederation of African Football (Caf) and reserved for home-based footballers who play in their own national leagues. 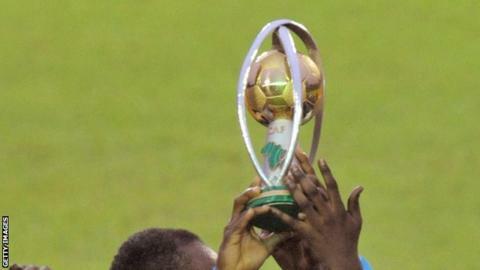 The DR Congo won the maiden CHAN tournament in the Ivory Coast in 2009, beating Ghana 2-0 in the final. Coached by Florent Ibenge, DR Congo fought hard to get back to the final after being knocked out in the quarters in the last two tournaments in Sudan (2011) and in South Africa in 2014. They needed extra-time goals to overcome hosts Rwanda in the last eight and narrowly beat a gutsy Guinea side 5-4 on penalties in the semi-finals. Goalkeeper Ley Matampi, who plays for one of the DR Congo's most successful clubs, DR Motema Pembe, was the star of the two matches. He saved two penalties against Guinea, but played down his own contribution, saying it was a team effort. "DR Congo are not the favourites yet," said Matampi. "We shall only be favourites after taking the trophy when the final game ends against Mali." Mali go into the final as the only team not to lose a game in the 16-team championship. The Eagles have played with a gritty determination, and upset favourites Tunisia in the quarter-finals, and then the African champions Ivory Coast in the semi-finals. But Mali will be without inspirational midfielder Sekou Diarra, who is suspended for the match. Likewise, defender Padou Boumpunda, who scored DR Congo's winner against Rwanda, is also ruled out for the final after picking up a second yellow card against Guinea in the semi-final. The final and third place matches will be played at the Amahoro national stadium in the Rwandan capital of Kigali on Sunday.